In the 1980s Nina Stibbe wrote letters home to her sister in Leicester describing her trials and triumphs as a nanny in north London to the family of Mary-Kay Wilmers, now editor of the London Review of Books. There’s a cat nobody likes, a visiting dog called Ted Hughes, almost daily suppertime visits from Alan Bennett, and other literary walk-ons from the Camden and Hampstead set. From the mystery of the unpaid milk bill and the avoidance of nuclear war to mealtime discussions on pie filler, the greats of English literature, swearing in German and sexually transmitted diseases, Love, Nina is a celebration of bad food, good company and the relative merits of Thomas Hardy and Enid Blyton, and a charming glimpse into the formative years of a naïve but unflustered and unassumingly witty young woman. Here are her ten top tips for writers. 3. Record backdrop events (floods, royal baby born, plebgate). 4. Keep a notebook with you at all times – paper or digital – and scribble in it whenever necessary. 5. When you have brilliant thoughts, write them down straightaway. 6. Find your most creative time of day and make time to write then. 7. If it’s not working, stop and have some toast and marmalade. 8. Don’t think you have to write fiction. 9. Use software such as Scrivener to help you organise your work as you write. 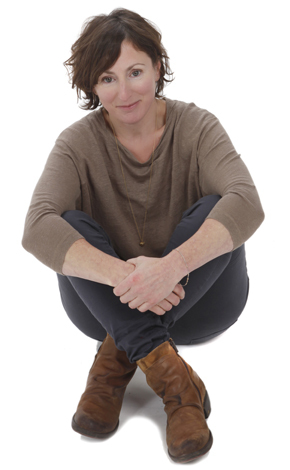 Nina Stibbe left Leicestershire for London as a teenager and after two years as a nanny studied Humanities at Thames Polytechnic. After graduating in 1987, she worked for a while in a Camden frock shop. In 1990 she began a career in book publishing, eventually becoming a commissioning editor at Routledge. In 2002 she moved to Cornwall with her partner and children where she writes, swims and eats toast. Love, Nina is published by Viking in hardback, eBook and downloadable audiobook.